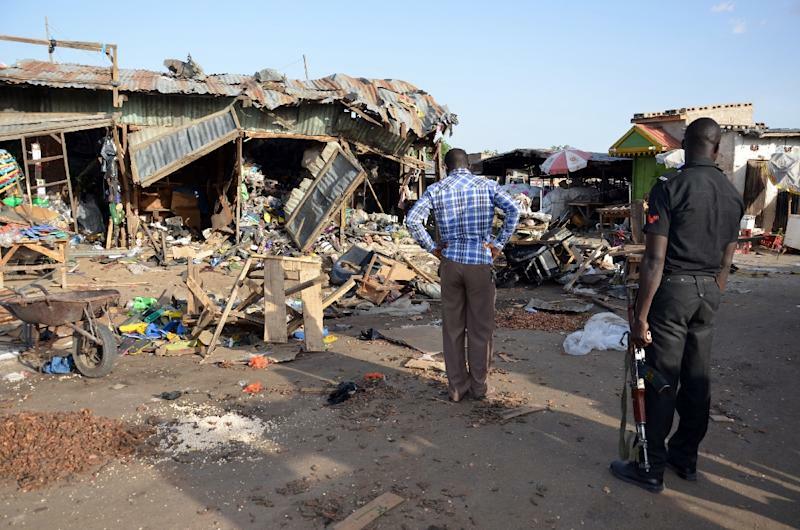 Kano (Nigeria) (AFP) - At least 20 people were killed Monday when a young female suicide bomber detonated her explosives at a bus station in Maiduguri, northeast Nigeria, in an attack likely to be blamed on Boko Haram. The blast happened near a fish market in the Baga Road area of the city, which has been repeatedly targeted in recent weeks by shelling, bombs and suicide attacks. "We heard a loud explosion at about 3:50 pm (1450 GMT) while we were preparing for afternoon prayers," said Danlami Ajaokuta, a civilian vigilante assisting the military against Boko Haram. "It happened right inside the motor park (bus station) attached to the fish market where labourers were sorting out rice." He said that according to survivors' accounts, a woman came into the bus station with a casserole dish, shouting out for customers. "Suddenly, the casserole, which obviously contained explosives, went off. She was blown to pieces... We have sorted out 20 dead bodies and 50 others that were injured." Ajaokuta's account was supported by a labourer working at the scene who survived the blast, which sent people running in all directions in fear and panic. "The rescue operation is still on, so the death toll may be higher at the end," said the labourer, who asked not to be identified. 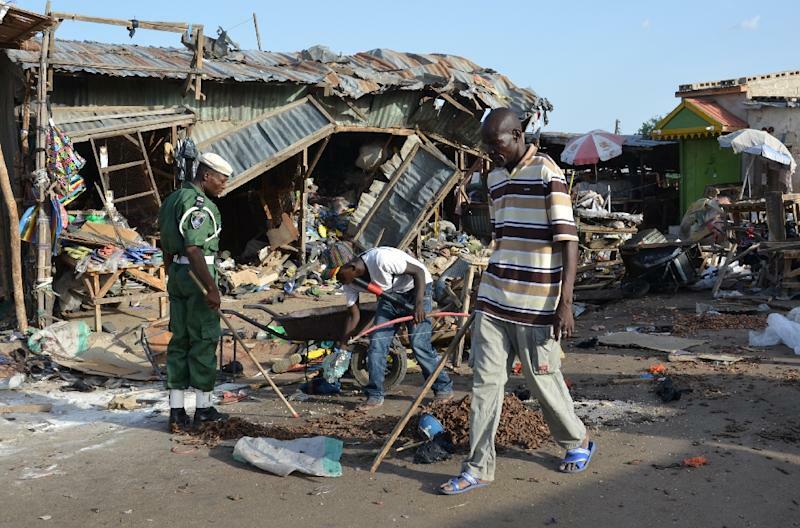 The police however gave a lower toll of 10 killed, as well as the two female suicide bombers. 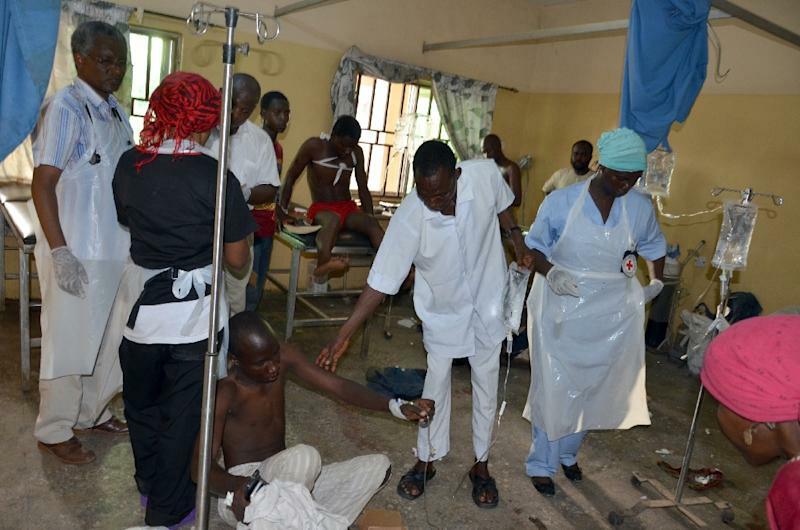 "Twelve people died including the bombers and many others injured," state police commissioner Aderemi Opadokun told reporters. Reports from Maiduguri indicated that the first bomber was a girl aged about 17 but there was no immediate confirmation of her age. There were also indications of a second bombing by a girl about the same age outside the bus station but no one was hurt. There was no immediate claim of responsibility but Boko Haram extremists have frequently targeted civilians at markets and bus stations during their six-year insurgency. The Islamist bombers have also used young women and girls as human bombs since the middle of last year, as part of a campaign of terror in the restive northeast and beyond. Monday's bombing takes the number of attacks in the city to five this month. Three have been by suicide bombers and one targeted a cattle market. On June 3, an improvised explosive device left outside a mechanics' workshop on the Baga Road killed 18 while on May 30, 26 people were killed in a suicide attack at a city mosque. With the latest attack, some 200 people have been killed since Buhari's inauguration, according to AFP reporting. Nigeria and its military coalition partners of Niger, Chad and Cameroon have claimed a series of successes against Boko Haram since February, pushing the rebels out of captured territory. But its return to guerrilla tactics aimed at "soft targets" is a sign that the insurgency, which has cost at least 15,000 lives, is not over, according to analysts.